Oh Meryl and Derek how I adore you both. You might remember them from their cute and stylish engagement shoot and I will tell you right now that their wedding was no different. 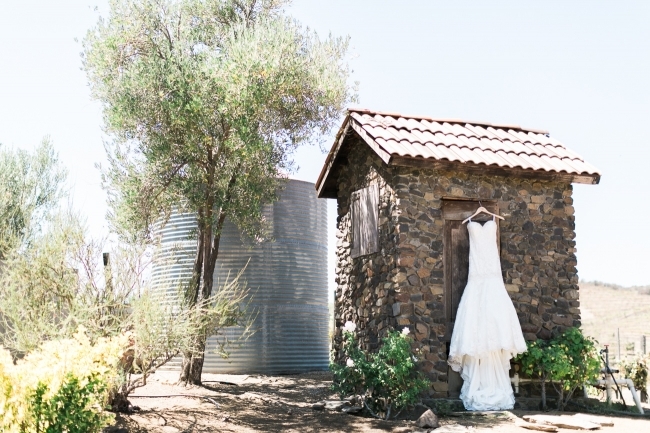 Their wedding took place at Saddlerock Ranch Chateau Le Dome in Malibu, California. It required a shuttle ride up and down a few steep hills to get to the venue but in life I’ve realized that putting in a little extra effort is ALWAYS worth it. Their ceremony took place on the top of a mountain surrounded by beautiful landscape as far as the eye can see. 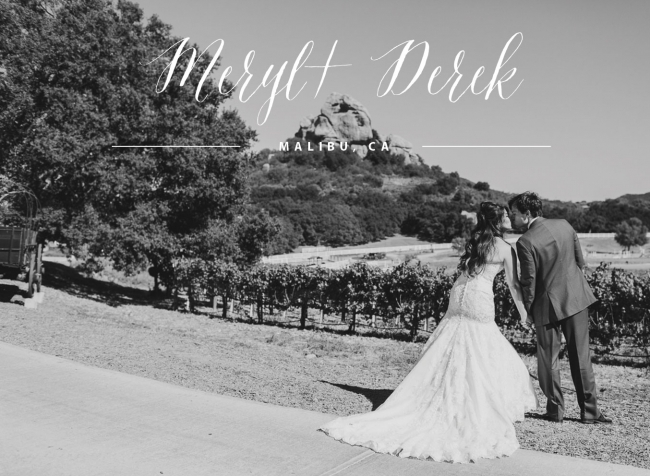 I felt like we were in the middle of nowhere and while we were there nothing else mattered except for Meryl and Derek’s love for each other. As the ceremony ended, the sun started to set and the lights surrounding the reception area really started to glow. Their ceremony and reception were both filled with happy tears, tight hugs and big smiles. Meryl and Derek put so much thought into each detail of their wedding, including a few REALLY CUTE star wars references (to show off a piece of Derek’s personality), gold animal place cards holders (to tie in the safari animals located on the venue property) and one of the prettiest dessert tables I’ve ever seen. I hope you enjoy just a few of my favorites from their wedding!! Seeing while walking down the aisle is overrated. Meryl– You are so beautiful!! A good looking bridal party! 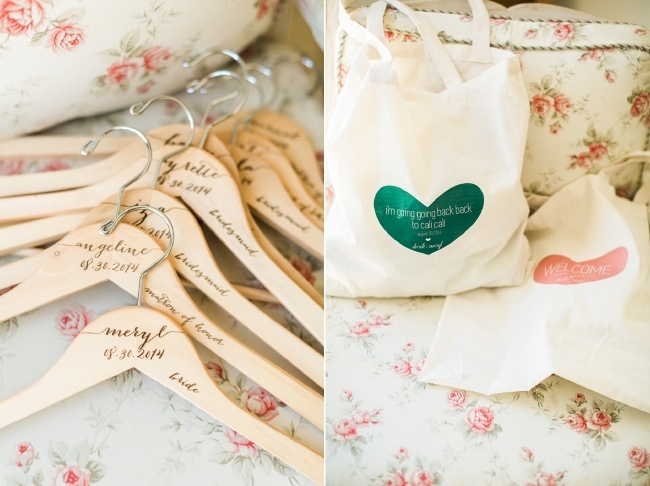 Meryl and Derek found pictures of each and every single one of their guests and used the image as their place card. I love how personal this idea is. And now for the most beautiful dessert table EVER! DitzieCakes did such an amazing job! Birthday cake, candles and everything.